The beauty aisles of drug and department stores are filled with products claiming to diminish the signs of aging. As skin ages, it loses the elasticity, fullness and clarity that characterizes young skin. 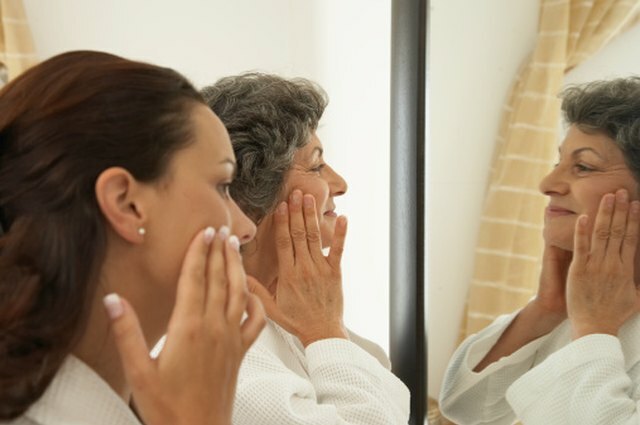 Retinol has emerged as a popular anti-aging ingredient in creams sold over-the-counter. Many different cosmetics companies sell products containing retinol. Retinol SA is a different form of retinol sold only by one company. Retinol is a less potent form of Retin-A, the brand name for tretinoin, a prescription-strength drug derived from vitamin A. Originally prescribed for acne, doctors soon noticed that the drug also reduced the signs of aging. Cell turnover is a natural process that slows as people age. Creams containing Retin-A cause skin cells to turn over faster, so new skin cells can emerge, resulting in smoother skin texture, clearer skin and the fading of dark spots. Retin-A also stops the breakdown of collagen, which is what gives skin elasticity and fullness, and helps shrink dilated pores. 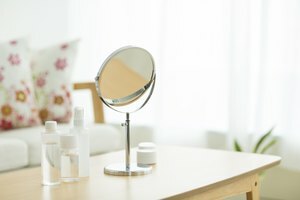 Skin care companies quickly capitalized on Retin-A's effectiveness by producing over-the-counter products with Retin-A's less potent version, retinol. Many different cosmetics companies have products containing retinol. Retinol SA is an ingredient patented by Neutrogena. The "SA" stands for "sustained action." Neutrogena uses Retinol SA in its Ageless Intensives and Rapid Wrinkle Repair product lines. The Rapid Wrinkle Repair products contain Accelerated Retinol SA, which is supposedly a combination of the highest concentration of Retinol SA, glucose complex and hyaluronic acid. Neutrogena claims that Retinol SA, launched in 2009, is distinct from regular retinol. The company advertises that Retinol SA is retinol kept in its most effective and stabilized form through a patented, sustained action technology. The Ageless Intensives products are advertised to work for a full 12 hours after application and provide noticeable results in two weeks. Neutrogena claims its Rapid Wrinkle Repair products work even faster, with women seeing noticeable improvements to their skin after one week. Retinol can initially cause irritation as the skin adjusts to the exfoliation. Applying sunscreen on top of the retinol cream or applying a retinol cream with sunscreen built in is important in order to protect the skin. Since Retinol SA penetrates deeper into the skin and continues to work longer than Retinol A, consumers might feel more skin irritation and need to be extra vigilant about sun protection. To combat the extra skin irritation, Neutrogena's Rapid Repair Wrinkle line contains hyaluronate aodium, a derivative of hyaluronic acid that acts as a lubricant.